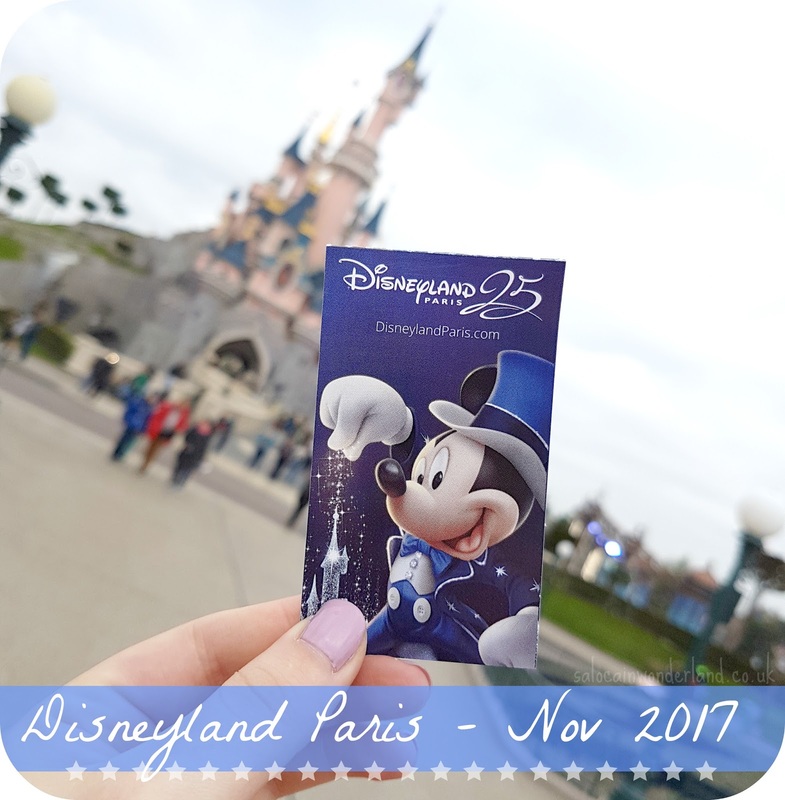 I wasn’t going to give an entire post to just travelling to Disneyland Paris but, well, our journey wasn’t the smoothes of courses! From non existent coaches to being kidnapped, getting to the magic wasn’t exactly magical! So grab yourself a brew and let’s get down to some story telling! 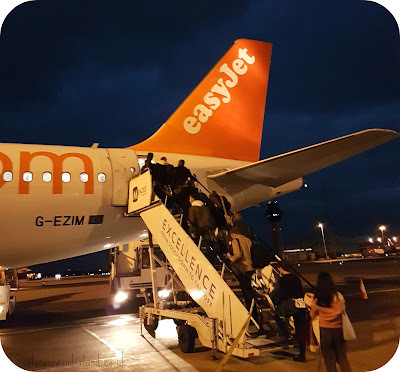 Our flights from Manchester to Charles De Gaulle were around tea time, so I spent most of the day prepping for the trip - mostly last minute packing, re-packing, and making sure we had enough snacks for our snack drawer. Before I knew it, the trainers were on and the luggage was locked and I was one my way to meet the gang at the airport! A totally inspired by YouTubers Krispy Smores (if you love Disney travel vlogs, to need to check out their channel!) moment, after checking in we went to Giraffe for pre flight food and drinks. 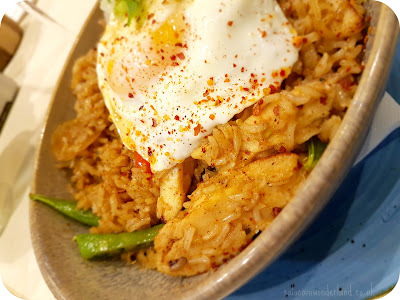 We had a bit of time and they guaranteed your meal would be with you in 15 minutes. Here’s the first hurdle that fell, we waited forever for our food to come, by time it did we had to shovel it down and leg it to the gate. I admit, the food was actually really good, I had a chicken rice bowl and it was full of flavour, I just wish I’d have had longer to enjoy it! Through the gate, on the plane, wine bought, and off we went to France! The flight went ridiculously fast, I hadn’t even finished my wine and we were being prepared for landing. CDG was pretty busy when we landed around 7.45pm but it didn’t take too long to get through security. We then waited at the wrong baggage claim for a while, because you know, fun! Once we figured out which carousel was ours, 3 out of 4 suitcases came off…there’s always one! 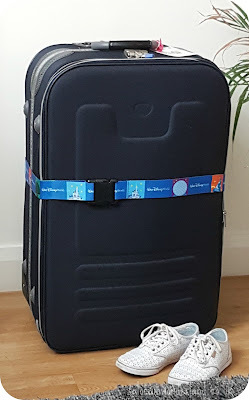 So we waited until we were the only people standing there before really starting to panic, the belt hadn’t moved for about 10 minutes, really hoping for a bit of pixie dust magic on this missing suitcase! And what do you know, the belt suddenly sprung to life as we started to walk away and low and behold, the missing case appeared! Whoops and cheers all round, we headed off and out of the airport! Prior to our flight, we’d found out that the Disneyland Pairs coach we had paid for would not be at the airport waiting for us. What do you know, the last coach left at 7pm, and we didn’t land until 8pm, but yeah, they still let us pay for it! Disney customer services assured us we would be refunded once we got home, but until then, we were to grab a cab outside. OK. Sounds easy enough, right? An airport attendant loaded us into a cab outside, our bags were piled in, and off we thought we went to the magic. Ha. My geography is pretty bad but even I know that Disneyland Paris and the Eiffel Tower are nowhere near each other, so when that big ol’ metal monstrosity came into view, we knew something was wrong. Very wrong. We pulled up the GPS on our phones, looked at the location of Disney vs our current location and we couldn’t have been heading any further away if we’d have got lost ourselves. So we asked the driver if we were going the right way, is he sure we’re going to Disneyland, is he positive this is the right way because it doesn’t look like it. He can’t say yes enough, that everything is fine. As our little GPS dot moves further and further into Paris and away from Disneyland the magic was quickly sucked out of our trip and Taken jokes were nervously bantered around the backseat. We then made it very clear to him that we knew he was taking us the wrong way. Next thing we know the car turns around, we get back on the motorway and we end up going back to the airport where this whole wild goose chase started. Hi airport, bye airport, we sailed past and seemingly headed in the right direction. Just when we think it’s all back on track, he suddenly comes off the bloody motorway to Marne De Valley and starts going down all these weird and not so wonderful back roads. Great. Taken 2.0. Again, we tell him we know we’re going the wrong way! He starts telling us that the roads are closed. OK, I’m no native parisian, but that motorway didn’t look all that closed to me! Nor did any of the roads we saw leading back to said motorway. But he just kept shouting closed whenever we questioned him. He’s broke into a sweat, we’re flapping in the back and Disney feels about a million miles away. Out of nowhere, we’re suddenly back on the motorway we randomly came off and going in the right direction. Hurrah. We stay on the motorway, we see signs for Disneyland, we are so close…and he turns off the motorway, goes around this massive ring road, and comes right back ON exactly where he came off. I like to think I’m a relatively calm person, pretty laid back and very forgiving but to say I was raging at this point was an understatement. What should have been a €60 trip max, was already at €90 and still, our hotel was nowhere in sight. 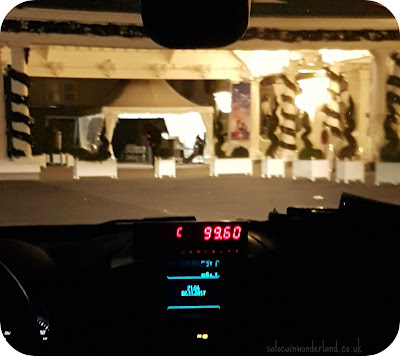 Finally, the cab lands on Disney property, there are lights and signposts all around, if we’ve said it once, we have said Newport Bay Hotel a million times….and he insists on attempting to pull into every single Disney hotel before finally, as the meter hits €100, we rock up to our hotel. 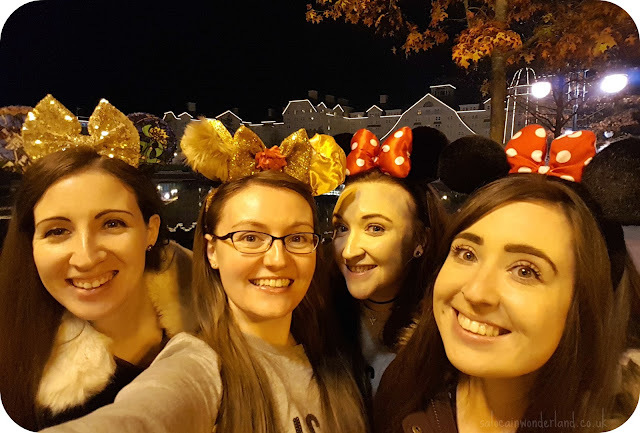 Our journey was by no means magical but finally, we had arrived and we had 4 whole days of memories to make, so with our ears at the ready, our adventure could finally begin! Have you ever had a transportation nightmare whilst on holiday? The trip was amazing, I can't wait to share more! Suffice to say the nightmare journey was soon forgotten once we checked in! This is so exciting. I love it there so much and need to go back this year. I would love to go back! I had the best time! From start to finish is was just wonderful! I would love to be there for the Christmas lights/decor! Omg haha I had no idea this was so dramatic! The flights to Paris are so quick. You are landing like 10 mins after you're in the air! It was friggin crazy! I couldn't believe he thought he could take advantage of us like that! FUME!